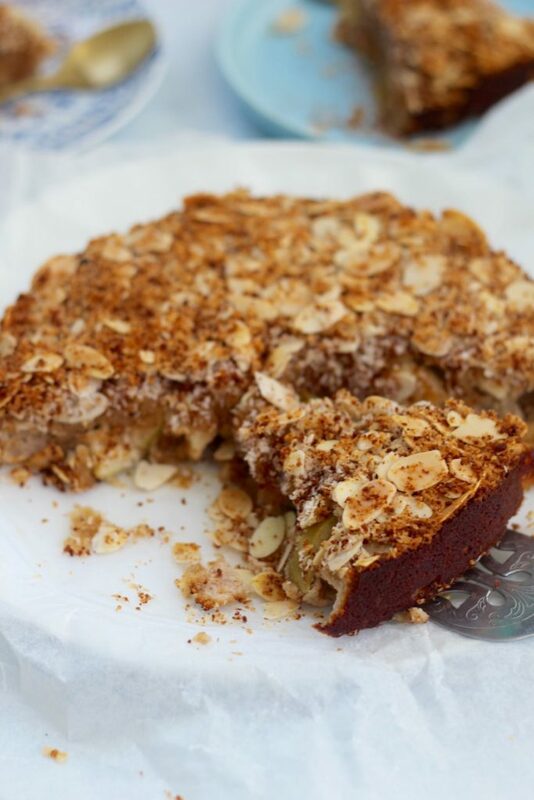 Healthy apple tea cake | Tastes real good with no nasties! 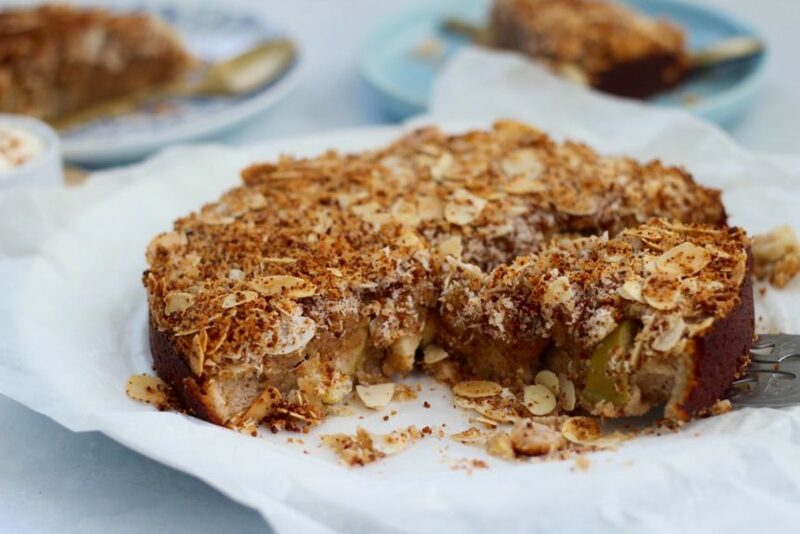 This healthy apple tea cake is the perfect recipe to whip up this Mother’s Day. This epic, delish, super easy, healthy recipe is brought to you by our faves Supabarn! If you are in Canberra or Sydney check them out! They are the farmers market meets the supermarket. Plus best health food section ever. We love them! This cake really is the goods. 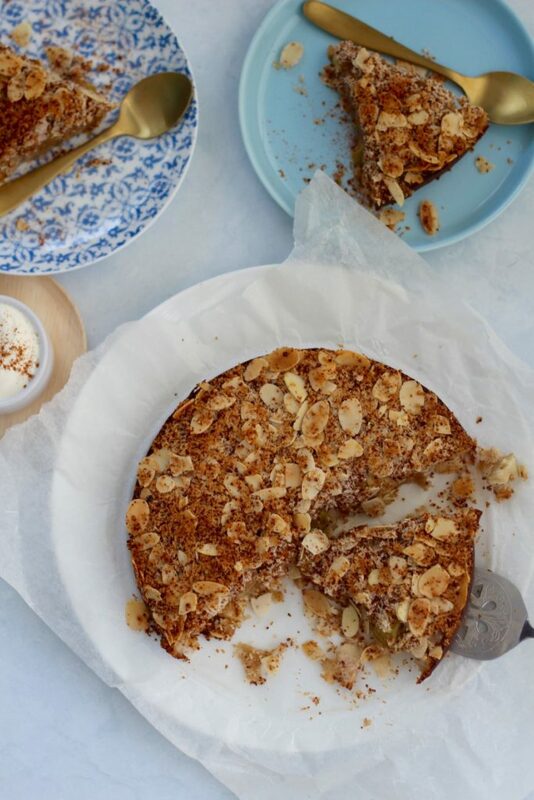 A somewhat underrated sweet treat really… but how freaking yum was apple tea cake when you were growing up? We loved the homemade kind but mostly we remember those iced apple bun things from the bakery. Remember them? They’re in the shape of hot dog buns, not really bread, more like cake with delish apple and yum as pink icing on top. Far out… they were so yum! The icing was everything (hello sugar). So yes these delish apple iced bun things were so delish but soooo not good for us. Healthy apple tea cake wins. Becuase no nasties, only good stuff. We highly recommend you serve the apple tea cake warm with a dollop of natural yoghurt or coconut ice cream. Oh! Back to Mother’s Day. If you haven’t found your Mum the perfect pressie yet… we have you covered! This year we have a special Mother’s Day bonus. Grab a copy of the Get Merry recipe book and we will confetti it, wrap it and add a bonus rose quartz crystal plus a super cute Mother’s Day card. The card says “I won the Mum lottery”. Sahhhh cute! Preheat oven to 180°C (350°F) and line a 20 cm (8 inch) spring form cake tin with baking paper. In a large bowl add the almond meal, cinnamon, baking powder and salt. Mix well. In a smaller bowl whisk the eggs, then add the coconut milk, honey, oil, vanilla and whisk until all combined. Add the wet ingredients to the dry ingredients and mix again. It will form a sticky, thick, wet batter. Add the apple to the mixture and stir again. Pour/press the mixture into into the prepared baking tin. Now make the crumble layer, totally optional but it looks good yah? In a small bowl add all the crumble ingredients and mix well. Sprinkle the crumble layer on top of the cake and press down slightly. Then cover with foil and place back into the oven for another 15 minutes or until cooked. Swap to other fruits if apple isn't your thing. We vote pear! *We only work with people we love, like Supabarn! If you have any questions about our brand collaborations please get in touch!